ISSP participated at the round table: Absolute vs. Relative Poverty, organized by Montenegrin Academy of Science and Arts (Committee for Economic Sciences and Committee for Demography and Anthropology), University Donja Gorica (UDG) and MONSTAT. The round table brought together experts from various national and international institutions and organizations, including President of the Committee for Economic Sciences and Committee for Demography and Anthropology at CANU and Rector of UDG Professor Veselin Vukotic, Minister of Labour and Social Welfare, Mr. Kemal Purisic, Head of UNICEF in Montenegro, Mr. Osama Makkawi, etc. 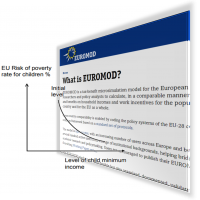 ISSP representative at the round table was Mr. Vojin Golubovic who had speech on social component in growth models. ISSP researchers participated at international conference “Blockchain – The New Architecture of the World” which was organized by Boris Mints Institute from Tel Aviv. The conference aimed to provide a basic understanding of the potential of distributed ledger technologies applications outside of cryptocurrency, and the different ways in high they are being implemented and integrated into society – via the private and public sectors, as well as international organizations, both government and non. Representatives of ISSP Ms. Jadranka Kaludjerovic and Mr. Vojin Golubovic participated at the high-level expert conference: Labour Market Reforms in the WB and Turkey – More and Better Jobs for Inclusive Growth and Prosperity. Conference was organized by European Commission, DG Employment, Social Affairs and Inclusion. The conference brought together senior level representatives of government administrations, public employment services and social partner organisations as well as experts from the Western Balkans and Turkey, who are actively involved in the design and implementation of labour market policies. EC, ETF, Eurofound, and regional and international organisations were represented by senior management and senior expert level. Association of Economists and Managers of Montenegro, in cooperation with University of Donja Gorica and Baltic Management Development Association organized the twenty third Milocer Regional Development Forum in the period 20-21 September 2018 in Hotel “Grand” in Cetinje. The topic of this year’s forum was: “Economic Development Model Based on Tourism – Challenges and Threats”. Representatives of the ISSP, Mr. Vojin Golubovic and Mr. Milika Mirkovic discussed about the importance of tourism in macro modeling and tourism in the long-term forecasts of economic development of Montenegro. 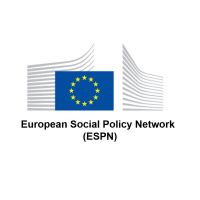 ISSP representative Mr. Vojin Golubovic participated at Vienna EUROMOD Workshop organized by Eastern European Social Policy Network, European Centre for Social Welfare Policy and Research during 17-18 September 2018. Workshop was aimed to discuss on potentials and directions of future research in the field, with special focus on Western Balkan countries, i.e. possibilities, potentials and challenges of the Western BalkanMod initiative. ISSP has become a representative of Montenegro in the COST Action (European Cooperation in Science & Technology), so director of the Institute, Jadranka Kaludjerovic, and researcher Milos Djurovic, attended the COST meeting which took place in Paris from 5th to 7th of July. This COST Action is focused on processing and analysis of quantitative survey data to ethnic and migrant minorities – CA16111 International Ethnic and Immigrant Minorities’ Survey Data Network. 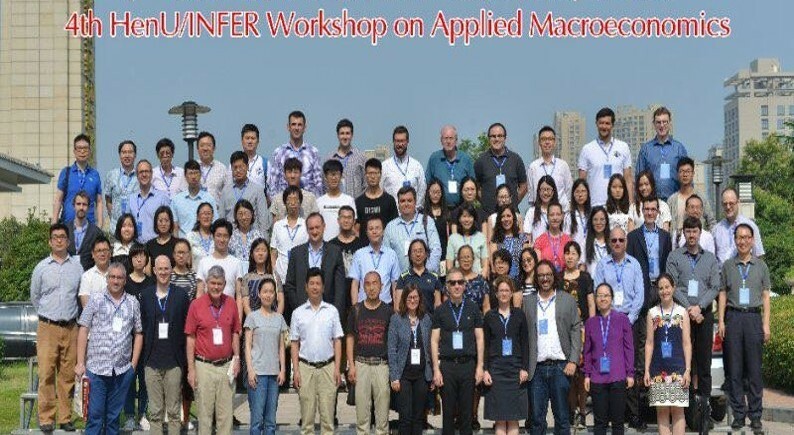 In cooperation with KOF Swiss Economic Institute, ISSP researchers Vojin Golubovic and Milika Mirkovic presented paper The integration of Montenegro into the World Economy at 4th HenU/INFER Workshop on Applied Macroeconomics which was hosted by Henen University in Kaifeng in China on 23-24 June 2018. Paper is result of the project that ISSP conducts in cooperation with Swiss institute. For more detail please visit the website of the event. ISSP researcher Milos Djurovic participated at the Third Annual Conference of the Western Balkans Migration Network (WB MIGNET) which took place in Zagreb from 25th to 26th of April. Topic of this year’s conference was ”A search for that special place under the sun in modern Europe: migration in the twenty first century” and it was characterized by different interdisciplinary panels and discussions on the topic of migraton. ISSP representatives participated at the event on the road safety organized by the UN System in Montenegro. The event gathered representatives of various national institutions and organisations working on road safety to jointly analyse innovative concept called “Social Impact Bond”. The concept aims at reducing deaths and injuries on the road through mobilizing innovative public instruments for funding interventions which would increase traffic security in Montenegro. ISSP representatives presented main findings of the road safety assessment in the country prepared under this UN initiative. In cooperation with KOF Swiss Economic Institute, ISSP researchers Vojin Golubovic and Milika Mirkovic presented paper The Montenegrin Macroeconomic Forecasting Model at Vienna Workshop on Economic Forecasting which was hosted by Institute for Advance Studies in Vienna on 15-16 February 2018. Paper is result of the project that ISSP conducts in cooperation with Swiss institute. On 19th October 2017, Jadranka Kaludjerovic presented paper Synchronization of business cycle in region countries and Turkey at Mediterranean Natural Sciences and Engineering Congress (MENSEC 2017) which was hosted by University of Donja Gorica from 19 to 22 October 2017. The main theme was Scientific Cooperation and Science Diplomacy in Mediterranean Basin. Congress was organized by University of Donja Gorica, Yildirim Beyazit University, Istanbul Sabahattin Zaim University, International University of Sarajevo, Necmettin Erbakan University and Manisa Celal Bayar University. Under the project Increasing Analytical Capacities of ISSP, which ISSP is conducting in cooperation with KOF Institute from Zurich since 2015, four ISSP researchers spent one week at KOF as a visiting researchers. The aim of the visit was improvement of macroeconomic projections and defining the next steps within the project. ISSP received Gratitude from Baltic Management Development Association (BMDA) for being the partner of the 15th Annual BMDA Conference “You Don’t Have to Be Big to Be Successful”. The Conference was organized at University of Donja Gorica on 26-28 April 2017. Representatives of ISSP participated in the Conference. 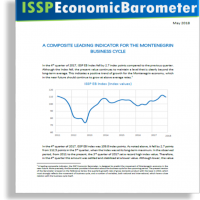 Researchers from ISSP and KOF Institute presented the first forecasts of macroeconomic trends of Montenegro. The key speakers at the conference were Jadranka Kaludjerovic, director of ISSP, Vojin Golubovic researcher and researcher from KOF Institute Michale Graff and Yngve Abrahamsen. Projected GDP growth rate for 2017 is 4.1%.